After our first night on the road we awoke early and packed up the tent and head off. Fueling ourselves (a very nice coffee from the Gawler Street Café in Mount Barker) and our car (Diesel at $1.41/L) we wended our way down the Fleurieu Peninsula towards Cape Jervis. The clouds hung low in the sky, blocking our view of the hills and as we passed over the top of the mountains it started to rain. Not a fantastic start to day 2. Crossing on the ferry we arrived at Penneshaw on Kangaroo Island in the early afternoon. 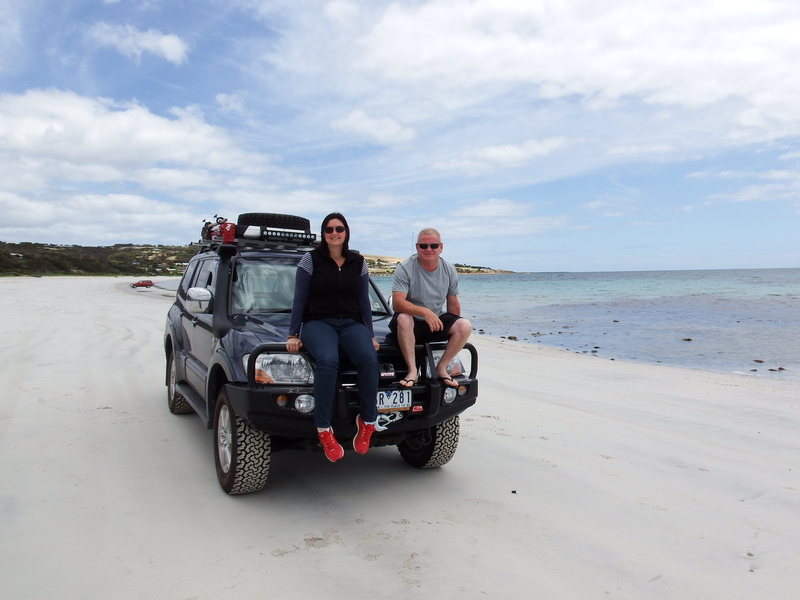 Kangaroo Island, or KI is big. 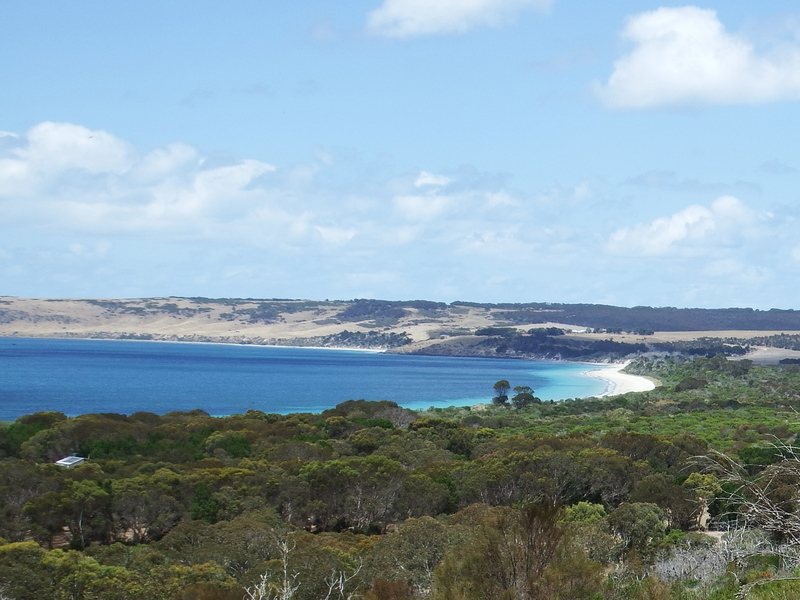 It is the third largest island off mainland Australia. It’s 155km east to west which will take over two hours to drive. For the first part of our visit to the island we stayed on the eastern side of the island at Browns Beach. Although not the prettiest of places on the island, it is clean and tidy. 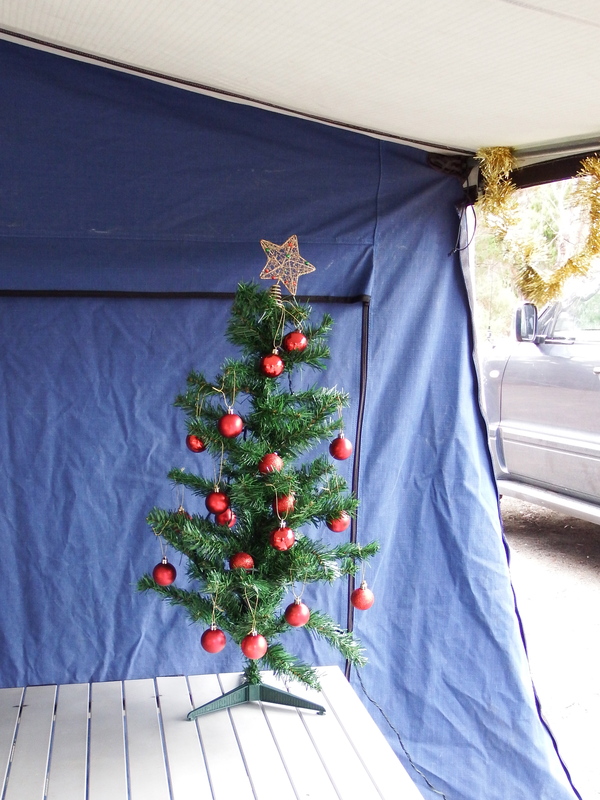 The campsite is run by the local council and has toilets, showers and BBQ shelter for only $15 a night. 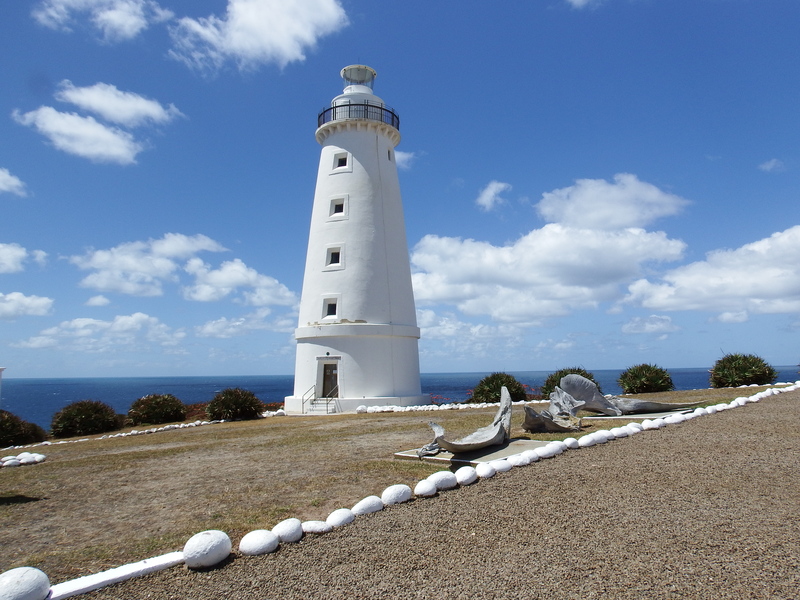 The tour of the Cape Willoughby lighthouse is an interesting insight not only into the construction and history of the lighthouse, but also of the settlement of the island. As we had done the tour on our last visit in Summer 2012/13 we didn’t do the tour again this time. 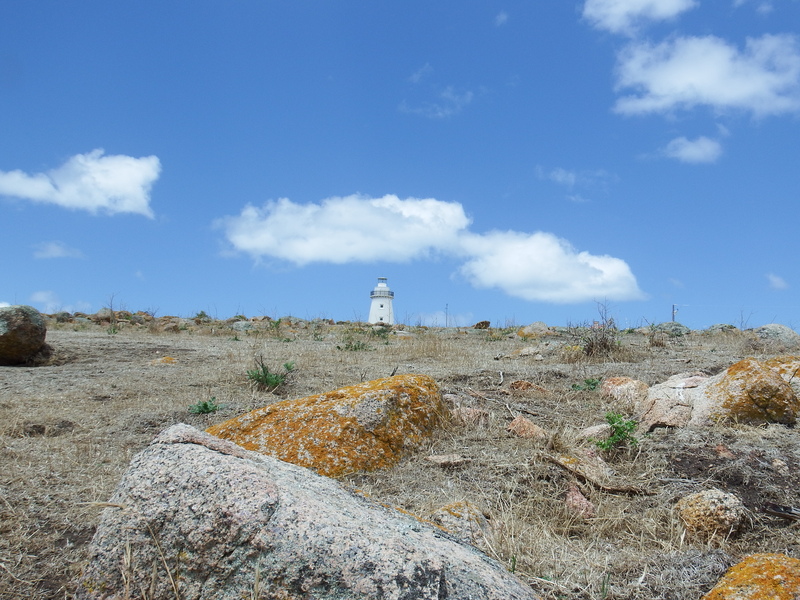 Instead we did the short walk down to the shore where supplies were delivered to the lighthouse keepers. Antechamber bay is located in the Lashmar Conservation Park. 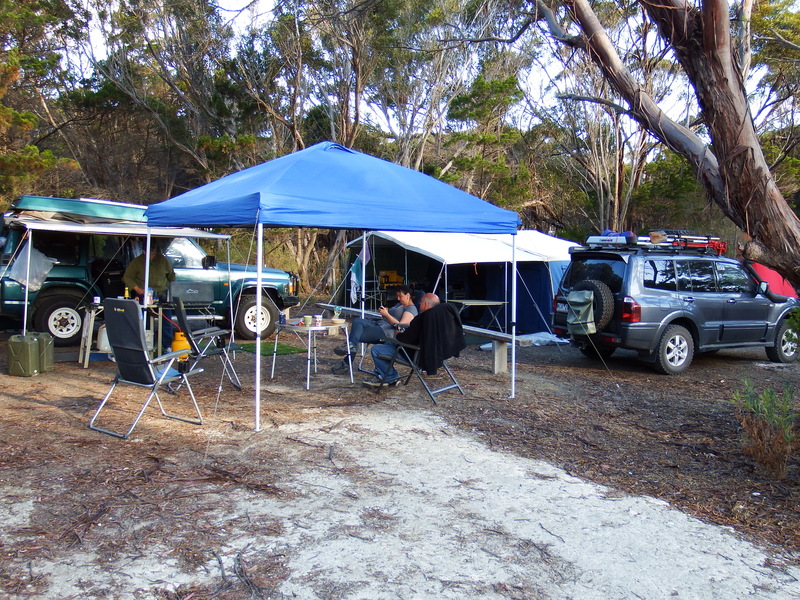 We took a quick look around at the camp sites and had a picnic lunch. The weather wasn’t conducive to spending much time on the beach. The weather was overcast again on Christmas Day. We took a short stroll on the beach before preparing for the feast. Emma’s parents joined us on the island and provided a mountain of prawns to start the day off. We then tucked into a fabulous roast beef prepared by Craig. Topped off by a traditional Christmas pudding and custard. Despite the slightly damp weather a good day was had by all. Kingscote is the largest populated town on the island. We popped in to top up supplies. While we were there we had a look at a couple of art galleries. Emma had to remind herself that we had neither the budget or wall space to be purchasing any of the items on display. Emu Bay is one of the many picturesque beaches on the island. We took the car for a drive along the beach. Despite it’s name, we didn’t see any emu’s around 😦 Again the weather wasn’t quite what we hoped, so we didn’t spend too long on the beach.